Sputnik discussed the Defence Secretary's speech with David O'Brien from the School of International Studies at the University of Nottingham in Ningbo China. Sputnik: In your opinion, how likely is Beijing to react to London's decision to send the HMS Queen Elizabeth to the Pacific region? David O'Brien: I think China will react to this. Publically, it will be very critical; it will see it as another example of foreign powers interfering with what it sees as its integral territorial claims, a number of different claims, over islands in the South China Sea. They'll see it as another military naval presence in the area. The US has been present in the area and has caused a lot of controversy in China with its naval presence and some very close collisions with naval vessels, which has really increased the tension there in recent years. 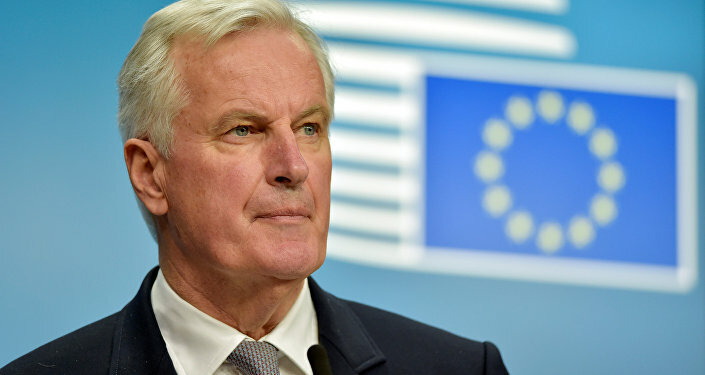 But I think, apart from this public criticism, there will also be awareness in China that some of this is very much related to Brexit; and China will be watching Brexit very carefully, it will see opportunities as well as challenges in Brexit. I think there will be awareness within the Chinese government that Britain is attempting to find a new position for itself in the world and that this statement from the Defence Secretary is an attempt of Britain to finding its position in the world post-Brexit. So I think there will definitely be public criticism, but internally there'll be a view that there're possible opportunities for China in this post-Brexit world. Sputnik: Could you, please, elaborate on that? It's very interesting that you would say it's related to Brexit primarily, and that there are some opportunities for China. What are your thoughts on those opportunities? David O'Brien: UK-China trade currently stands somewhere in the region of about $80 billion, which is relatively small when you consider that German-China trade is somewhere in the region of $200 billion. 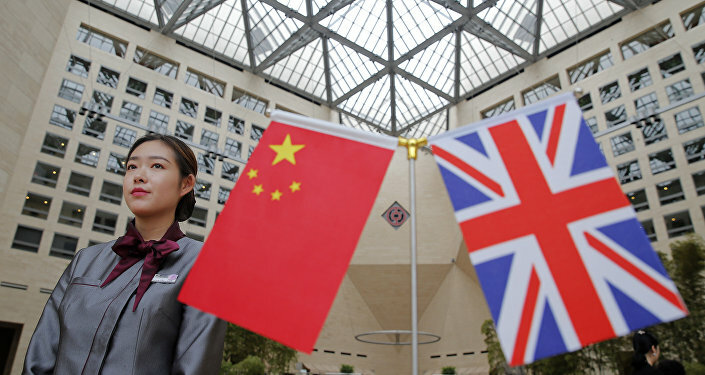 Jeremy Hunt, the Foreign Secretary, was in China last year and there were some indications that China and the UK will sit to sign a trade deal soon after Brexit. 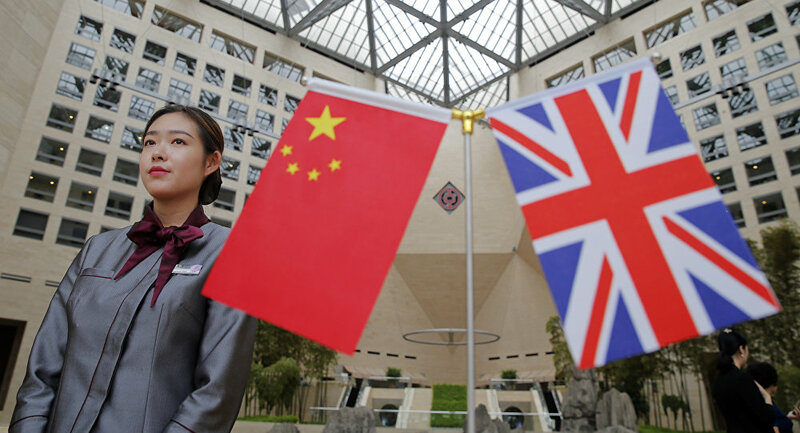 The opportunities that are there for China in terms of increasing its trade with the UK are obvious; but I think also China is concerned that the UK leaving the EU fundamentally changes China's relationships with the UK, and could create a lot of difficulties in terms of its relationships with other European countries in both trade and other areas. So, I think China will be watching Brexit very carefully; and, looking at this statement from the Defence Secretary, I think it will see this as part of a bigger movement in Britain today, and will see it as potentially being something that it can leverage. Sputnik: Obviously, China is a very interesting potential trade partner for Britain post-Brexit. On the other hand, we see this increased military presence. I'm just wondering, is this going to be used as a bargaining chip to get a better trade deal? How is that going to affect the potential for trade, having this increased military presence? David O'Brien: This reflects a strong historical resonance of British naval ships entering the seas of China. Britain and China fought wars before the Opium War in the 19th century which led to the loss of Hong Kong. There's a strong memory of that in China, it's very much part of the national memory of the century of humiliation, the 19th century and on into the 20th century. 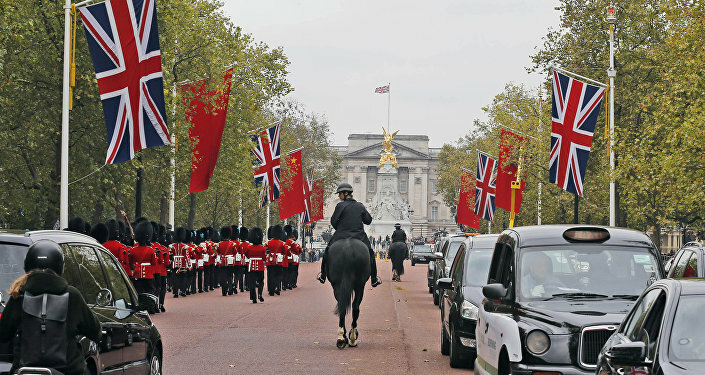 And Britain would very much be seen as a perpetrator of humiliation in China. Xi Jinping's China is increasingly assertive, increasingly strong and increasingly plays a nationalist card in its domestic and international politics. But also China is very pragmatic when it comes to trade; China will form trade deals with anybody who is willing to trade with it and it makes a very clear point that it does not want to interfere in other countries' internal affairs. So I think there will be a balance when it comes to a trade deal and the realities of trade between the two countries. But I do think there's a particular resonance of the Queen Elizabeth ship sailing into what China sees as very much its territorial waters; that could appeal to the rising nationalism that we're seeing in China today. Sputnik: What are the actual chances that the UK will take any military action to support their county if there were to be some kind of a flaming up of a territorial dispute with China? David O'Brien: At the moment, [the chances are] quite slim. But the danger with all this military hardware in the area is, you know, that accidents can occur. We've seen examples of US naval ships and Chinese naval ships coming within just a few feet of one another, very close to collision. Things can happen that were not planned; certain things can happen on the ground that may not be controllable from Beijing or London. And I think that there is always the danger when you have heavy military hardware in an area. There're also strong tensions across the region; these island disputes bring in the whole region on different sides. But at the moment, I think it's more posturing on the behalf of different governments; I don't think there's a serious risk of military conflict over this any time soon.